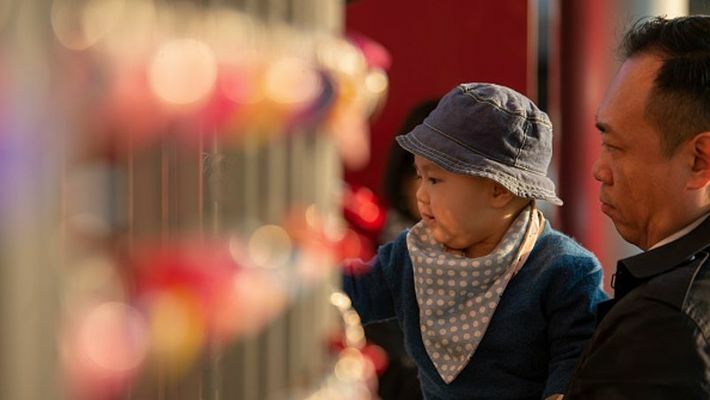 China who looked for economic growth and short-term gains in the 1970s by instituting a one-child policy stares at an ageing population even after a relaxing the former and adopting a two-child policy, with possible economic decline in the long run, experts opine. In 1979, China in a bid to curtail its exploding population, adopted a one-child policy and then changed it to a two-child policy more than 30 years later, when the government in late 2015 allowed couples to have two children instead of one. Though believed as the logical approach to curb population years ago, the impact is massively felt now as the country aims to boost the nation’s fertility rate. The impact is felt with the declining working population as the ageing population could create a greater burden on China’s economy and its labour force. Decrease in workforce could leave the government in crisis as it will become extremely difficult to pay for an ageing population who live longer. Consumer spending will take a major hit as the it is working population that drives the economy. The then Chinese government in the 1970s, who was under extreme pressure to increase economic growth and use it as a basis of political legitimacy, pushed the policy through and for years China’s Communist Party implemented a series of policies intended to slow the growth of the world’s most populous nation. The long-term effects of those policies mean the country will soon enter an era of “negative growth,” or a contraction in the size of the total population. The one-child policy has faced global criticism over the years, but many believe that it has led to rapid economic growth. A huge number of families in the country have gone childless over the years, leaving the aged without any support in their later years. The enforcement of the decree was not only one that is criticised on logical grounds but was seen as a massive human rights violation with extreme birth control programs reported, which forced many women to undergo procedures. Many countries like India and Korea too adopted population control programs, but not one that resulted in a one-child policy that reportedly saw mass sterilization and forced abortions as a measure of birth control. Sociology experts have argued that this sort of mentality constitutes a fundamental disrespect of people and that’s why it’s not used as a measure of population control. “This serves as a lesson for people of India, Korea and other countries who opine that the government should impose family planning on its people. The effects of this near-sighted decision are an example of the plight that could befall other countries if they resort to these measures,” said an official from the health & family welfare department. But the birth rate fell again in 2017, with 17.2 million babies born compared to 17.9 in 2016. Although the number of families having a second child rose, the overall number of births continued to drop. The prescribed fertility rate to maintain population is 2.1 but China’s fertility rate has officially fallen to 1.6 children per woman. In a report by DW news, Feng Wang, professor of sociology at University of California, Irvine, said that the one-child policy was made possible "by the particular political context and political institutions in China." More importantly, he pointed out that the enforcement of the policy allowed most Chinese families to spend less on children per capita, which helped with savings, investment and economic growth. Even, as families invested more on the only child's education, it helped to nurture the most educated generation in Chinese history, the expert said. While some argue that the impending population crisis is due to the one-child policy, others say that it is due to long-term government policies and socioeconomic developments. Reportedly, demographers opine that what setoff the decline in the fertility rate decades ago in the fertility rate was only lowered due to socioeconomic development. The impact over the decades has brought China, who sought short-term gains in economic development and utilised their resources, has come to a point where the country will not be left with much to get by in the future. No one can ‘dictate’ China’s economic development, says President Xi Jinping: Warning for US?